The ISRS held a «round table» on prospects of cooperation between Uzbekistan and EU member states with participation of a leading research fellow of Eastern Europe and Eurasia Project of German Institute for International and Security Affairs (SWP) Sebastian Schick and a research fellow of Eurasia program at the Rome Institute for Geopolitical Studies (IsAG) Fabrizio Vielmini. The experts analyzed results of large-scale reforms in Uzbekistan, discussed issues of cooperation in Central Asian region, as well as exchanged opinions on the current condition and prospects for Uzbek- EU relations. S.Schick noted that one of the greatest recent achievements of Uzbekistan is liberalization of Uzbek economy, finance and currency. He conceives that these reforms will improve the business climate and investment attractiveness of the country, make contribution to the creation of new opportunities for stimulating the national economy. The expert assured that the positive changes in Central Asia was possible thanks to a new political course of Uzbek government. These changes will turn Central Asia into stable and predictable region and assist to revitalize German foreign policy in Central Asia. 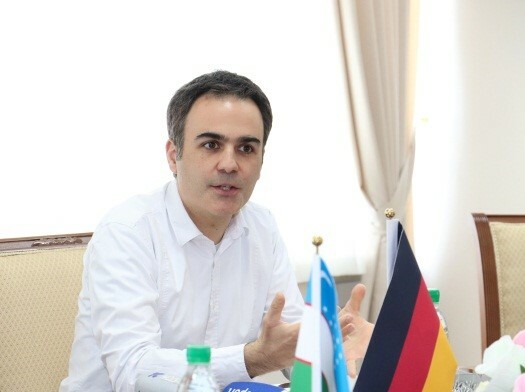 At the same time F.Vielmini said that although Uzbekistan was apart from the regional processes for a long time, nowadays Tashkent conducts itself constructively in its international relations. Uzbekistan, being the heart of Central Asia, regains its natural role as a stabilizing country in the region. Current foreign policy of Uzbekistan creates extensive opportunities for enhancing relations between Tashkent and the EU countries. However, for this it is critical to achieve positive outcome of internal reforms in Uzbekistan, strengthening the public administration system along with increasing legislative and judicial authorities’ role. Successful implementation of reforms will open new fields for bilateral cooperation between Uzbekistan and EU members. According to him, political transformation in Uzbekistan coincided with the process of updating the EU’s Strategy for Central Asia. The project of New EU’s Central Asia Strategy takes into account the current realities in Uzbekistan. Therefore, Brussels changes its approaches towards Tashkent. «Uzbekistan's Development Strategy for 2017-2021 envisages large-scale economic reforms and this requires the creation of a common platform for exchange in the fields of new technologies, international standards, public administration and other areas. The EU is considered as a leader of «know-how». Certainly, EU’s New Central Asia Strategy can help Brussels to become a key partner of Tashkent through rapprochement to modernize Uzbek economy», - believes F.Vielmini. F.Vielmini appreciated the importance of the policy of Tashkent towards Afghanistan. From his point of view, this political course opens up wide opportunities for further extension of EU cooperation with Uzbekistan and Central Asian region as a whole. 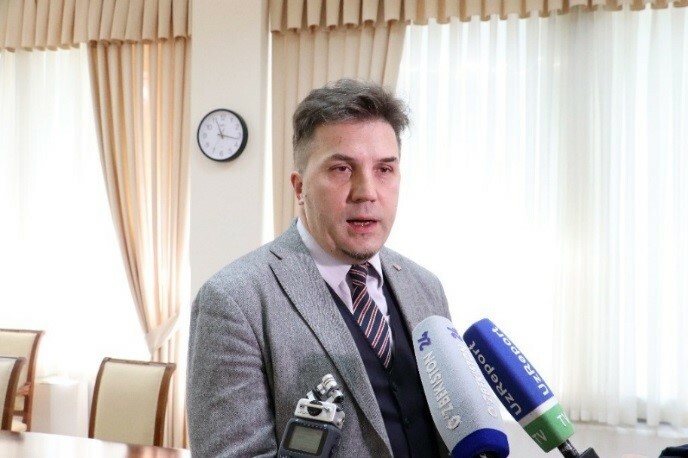 Finally, the researcher highlighted the prospects for comprehensive cooperation between the EU and Uzbekistan in such fields as culture, science and education. According to the previous EU strategy in Central Asia (2007), education was one of the priority areas of Uzbek-EU cooperation. This realm is still relevant and deserves close attention.